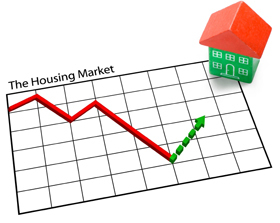 There are many naysayers declaring that the housing market is still challenged. We just want to let these naysayers know three things: 13,945 houses sold yesterday, 13,945 will sell today and 13,945 will sell tomorrow. 13,945! That is the average number of homes that sell each and every day in this country according to the National Association of Realtors’ (NAR) latest Existing Home Sales Report. According to the report, there were 5.09 million homes sold in 2013. Divide that number by 365 (days in a year) and we can see that, on average, almost 14,000 homes sell every day. NAR revealed that sales had increased 9.1% as compared to 2012 and that it was the market’s strongest performance since 2006. We realize that these numbers are below the record for homes sold during the boom. We also know that we may not see those numbers again for a long time (and that is probably a good thing). But to say that the current real estate market is challenged is totally inaccurate. We have about 14,000 pieces of evidence to prove that.